As part of the input into the March monthly meeting on Tuesday 7 March we conducted a survey of AJA members in which we asked two questions. Of the 66 members and candidates we contacted, 40 responded to the survey. The results of the entirely anonymous survey were shared with the people who attended the monthly meeting (whether in person or on Skype). We are now publishing the results on the AJA website as promised. 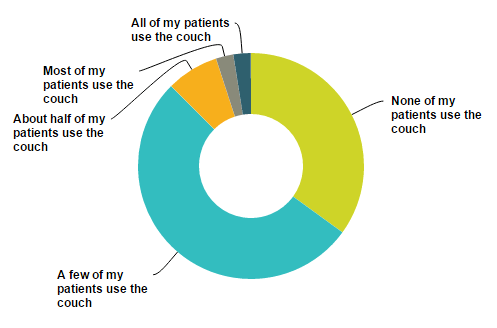 How many of your patients currently use the couch? How do you think the majority of AJA members answered question 1?